Two-time Rock and Roll Hall of Fame inductee, 21-time Grammy Award winner and recipient of The Most Excellent Order of the British Empire Sir Paul McCartney brought his acclaimed long-running One On One Tour to Australia this December, his first Australian tour since 1993’s The New World Tour more than 24 years ago. The show featured nearly three hours’ worth of the greatest moments from the last 50 years of music, dozens of songs that have formed the soundtracks of our lives. 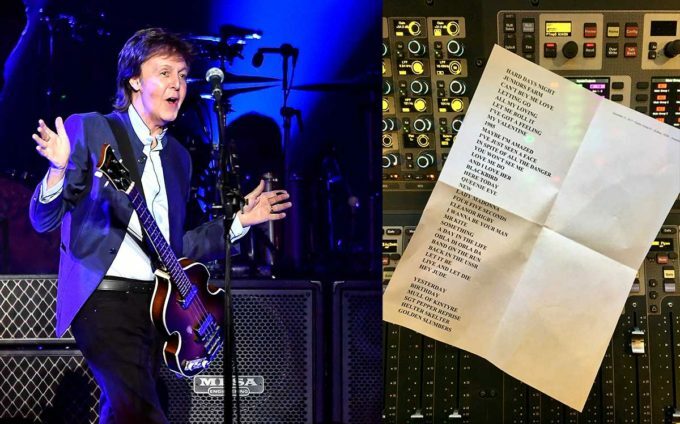 FOH engineer Paul Boothroyd – known more commonly in the industry as Pab – has been with Sir Paul for a fair portion of this journey. That FOH console was an Avid Venue S6L which Pab has used ever since it was released and he describes it as one of the best consoles on the market. Pab’s S6L carries dialed-in snapshots for more than 100 songs. Plug-ins that are used sparingly include Smack!, ReVibe II, ReVibe I on drums and Mod Delay III. 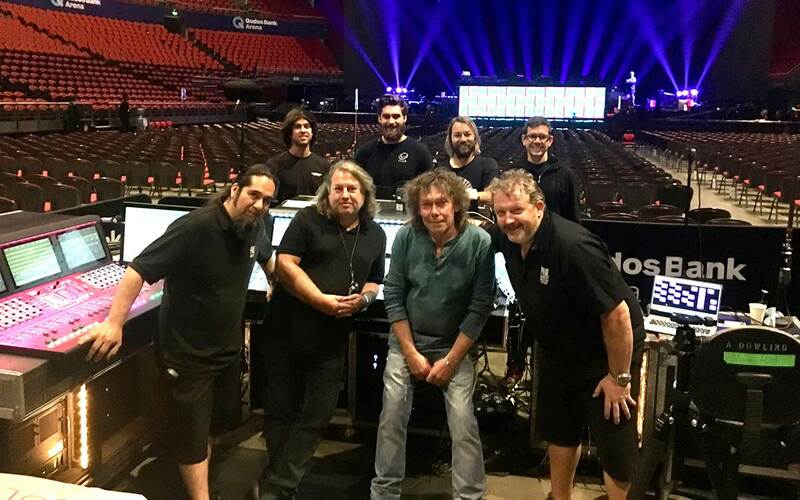 JPJ Audio supplied the crew and gear for the tour including their Clair Brothers’ Cohesion Series for PA. At the Sydney show indoors at Qudos Bank Arena, Pab had sixteen CO12 L+R, fourteen CO12 LL+RR, twelve CO12 LLL+RRR, six CP218 Subs flown per side, three CP218 Subs per side ground stacked and twelve CO8 for front fill. The stage is fairly loud with only Wixy (musical director/multi-instrumentalist Paul “Wix” Wickens) wearing IEMs. The rest of the band opts for Clair R4 sidefills with ML18 subs and SRM wedges. Monitor engineer John “Grubby” Callis uses an analog Midas Heritage H3000. Microphones were a mixed bag with Pabs never swayed by fashion or freebies preferring to apply the correct microphone to suit the job. Having not toured Australia for a good few years, Pab says he was very pleased to be greeted with such a professional JPJ team, a very happy team who just dealt with anything that was asked. “Thanks JPJ for the fun and hard work, greatly appreciated,” he added. Front row: Tech Sean Baca, FOH engineer Paul ‘Pab’ Boothroyd, monitor engineer John ‘Grubby’ Callis, and monitors system engineer Paul Swan.